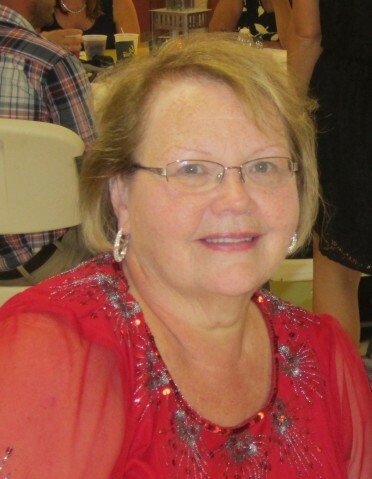 Marcia Sue (Roderick) Dillow, age 68, of Smithfield, PA went home to her eternal reward with her Lord and Savior on Monday, February 4, 2019, surrounded by her adoring family. Sue was born in Whitehouse, PA on October 29, 1950. She was the daughter of Floyd S. and Wanda H. (Myers) Roderick of Whitehouse. Sue graduated from Albert Gallatin High School in 1968 and then attended California University of Pennsylvania where she earned her degree in education. On April 8, 1972, she married the love of her life, James Howard Dillow, also from Whitehouse. They were blessed with four children. Sue worked as a Librarian at the West Virginia University Library and in the Albert Gallatin School District for many years until her retirement. Sue enjoyed her flowers, listening to gospel music, attending WISH groups at CMA Church, and, most importantly, spending time with her family and friends. Sue’s home was always open to anyone who wanted to visit and she loved hosting holiday gatherings. Sue was a selfless and supportive wife and mother who always put her own needs and wants behind her family. She led by example, always teaching her children the value of hard work, kindness, perseverance, truthfulness, forgiveness and compassion. One of her greatest joys was spending time with her grandchildren, all of whom loved their Nanny very much. Her family was blessed beyond measure with her time, her prayers and her limitless love. Sue was a woman of God and her faith was unshakable. She attended the Whitehouse Free Methodist Church and loved her church family. She was a prayer warrior and trusted in the Lord with all of her heart. She had a kind heart that always brought out the best in everyone she met. She was truly an amazing woman who will be greatly missed by all who knew her. Her family takes comfort in knowing that she is free from the burdens of this earth and that they will one day see her again in heaven. Sue was predeceased by her beloved husband, James Howard Dillow, whom she loved and missed dearly. She was also predeceased by her father and mother, Floyd S. and Wanda H. Roderick, and one brother, Ronald Roderick. She is survived by her adoring children, Aimee Guthrie and husband Alvin of Bruceton Mills, WV, Aaron Dillow and wife Amy of Smithfield, Darrin Dillow and wife Tina of California, PA, and Zachary Dillow and wife Tiffany of Point Marion, PA; her four grandchildren, Colton, Seth, Aidan and Delaney; her two sisters who she loved and adored deeply, Lana and husband, George of Smithfield, Pa and Kathleen Stefanik of Whitehouse, PA; many nieces and nephews; and her precious dog, Murphy. Sue had many special friends that included her very best friend, Judi Eckert, whom she cherished for 33 years. The family will greet friends and family in the Dean C. Whitmarsh Funeral Home, 134 West Church Street, Fairchance, Pa. on Thursday from 6 to 9 p.m., Friday 2 to 4 and 6 to 9 p.m. Additional viewing on Saturday, February 9, 2019 from 10 to 11:00 a.m. in the Whitehouse Free Methodist Church, 2125 Springhill Furnace Road, Whitehouse, Pa. 15478. The funeral service begins at 11:00 a.m. with Pastor Kenny Rockwell officiating.